Symmons Plains Raceway is a motor racing circuit in Australia, located about 30 kilometres (18.64 mi) south of Launceston, Tasmania. Since the closure of the Longford circuit in the 1960s it has been Tasmania's premier motor racing facility. The circuit is one of the longest serving circuits of the combined history of the Australian Touring Car Championship and the V8 Supercar Championship Series. Since 2005 it has hosted the Falken Tasmania Challenge for V8 Supercars. 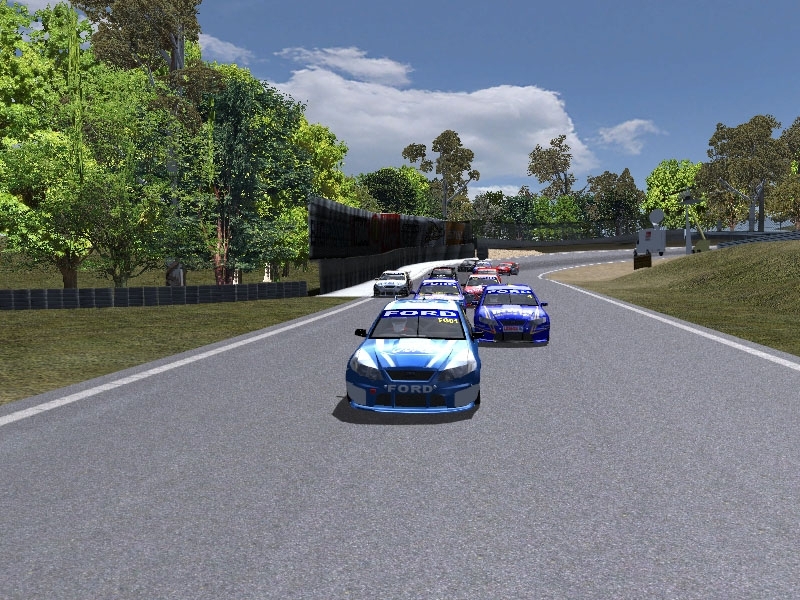 There are currently no setups for Symmons Plains 2013. Add a Setup. Awesome track work and great lines although can I just mention that camera placement and the use of the crowd texture could be adjusted a little, I'll just say less is more ;-) Great work all in all and looking forward to any updates and new material of your work. Awesome job Intel48.... Everything about it is top notch and felt good from lap 1.... great FPS... Deserves a better rating than what has been put up so far. The only thing i noticed was the billboards on the right coming into pit lane have no poles!..